Is not a proper Valentine Day without chocolate! 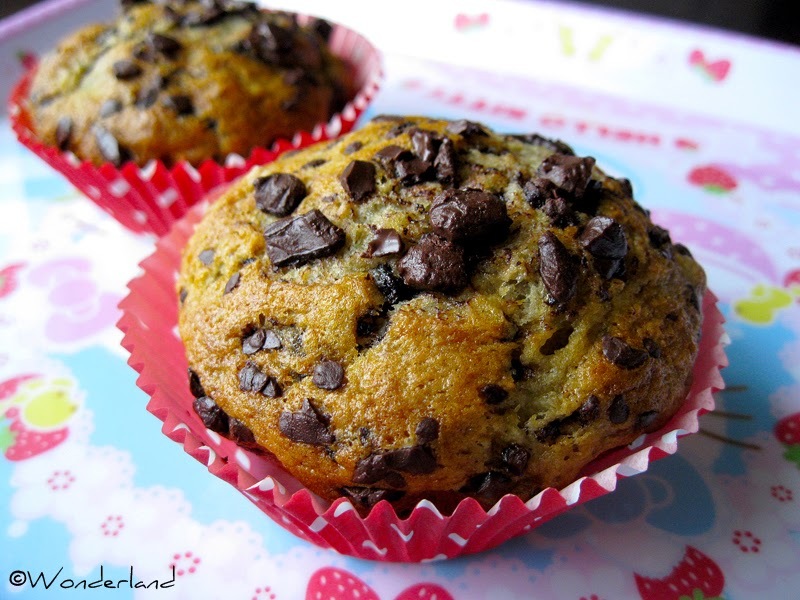 These muffins are extremely soft! They melt in your mouth! Try and see for yourself! 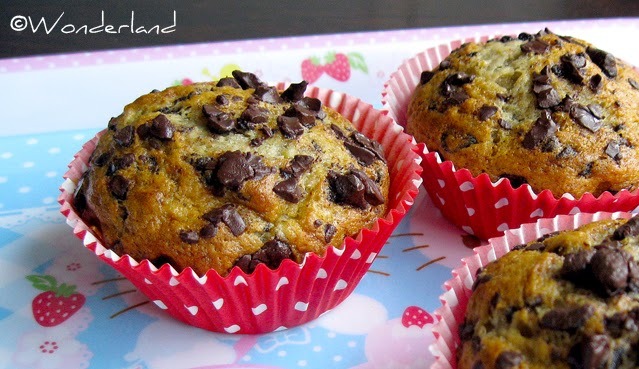 HINT: Try to use nicely ripe bananas because they are softer and have stronger flavor. Put the mashed bananas in a bowl with the egg and melted butter and mix well. In another bowl mix the dry ingredients: flour, sugar, baking soda, baking powder and salt. Mix wet and dry ingredients together, add the chocolate chips (but same some for toppings). 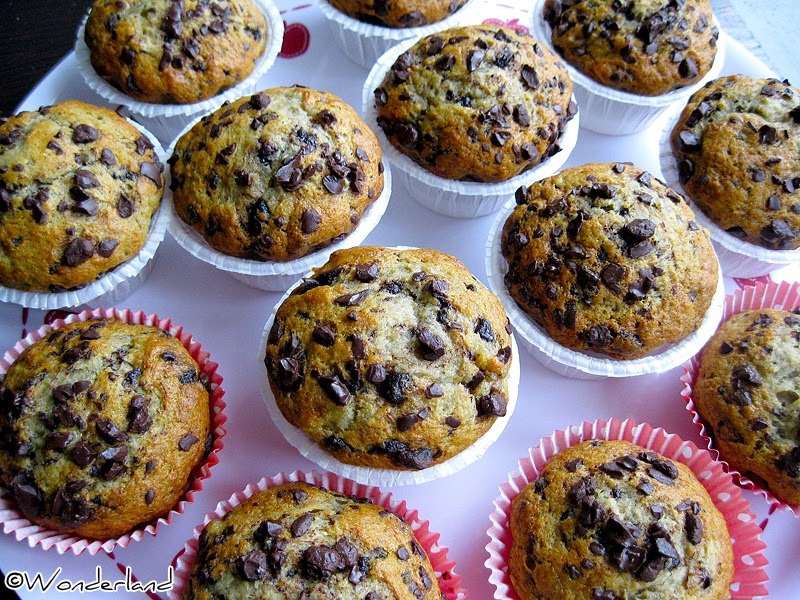 Pour into muffins cups (fill them about 2/3) and drop more chocolate chips on top of them. Bake in the oven at 180ºC (356ºF) for about 20 min. Check by inserting a toothpick in the middle, if it comes out clean, then the muffins are ready. Let the muffins cool down before serving.